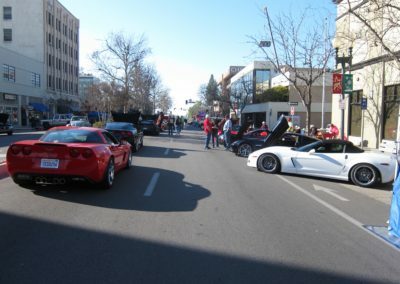 We had a totally awesome time under the most perfect weather imaginable at the Streets of Bakersfield car show. 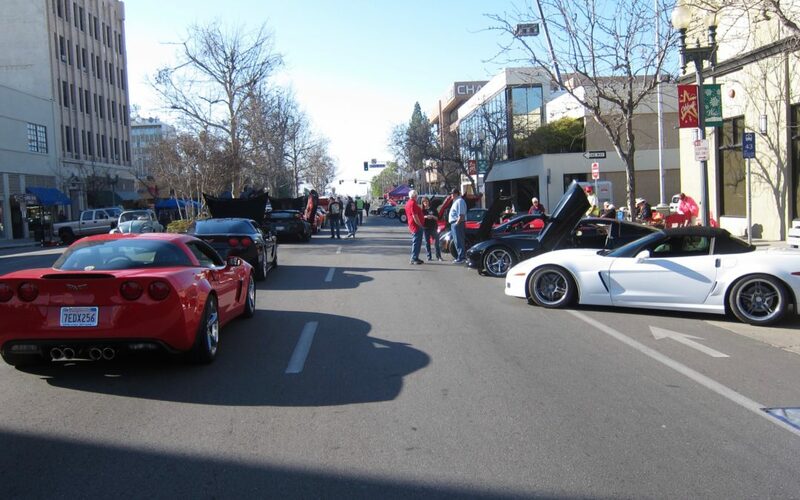 Many thanks to David Kielty, Bill Dean, Larry Young, Richard Villanueva, Mitch Townsend, Virgil Miller, Dale Frye and Adrian Medina for the hard work of chalking and numbering the streets for the gorgeous cars being displayed. Corvettes of Bakersfield had 12 members show up in their Corvettes as well as other members bringing their other prized cars. Many friends were made and possibly new members for the club. In spite of three other car shows going on in town, we had a record 400+ cars registered at the Streets of Bakersfield show. Our charity of choice was the Wounded Heroes Fund among five other charities benefiting from the proceeds of this show. 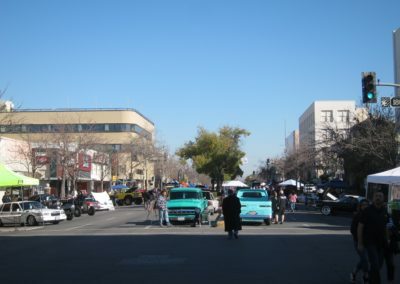 Plenty of vendors and entertainment was available and lots of food. This show gets better every year.